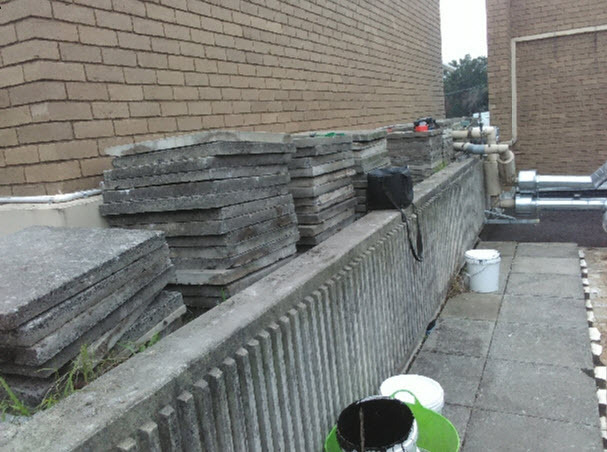 Case Study - Repairs to Leaking Concrete Balcony Using Liquid Applied Waterproofing Under Adjustable Pavers. 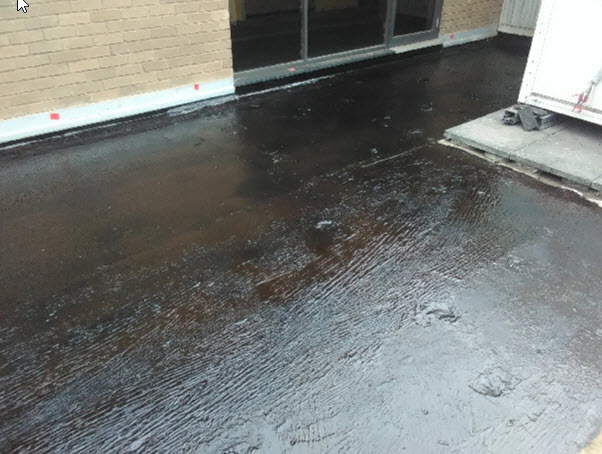 Findlay-Evans, Melbourne based Certified Waterproofers & Registered Building Practitioner, provided a complete solution to permanently repair a badly leaking balcony and rooftop terrace. 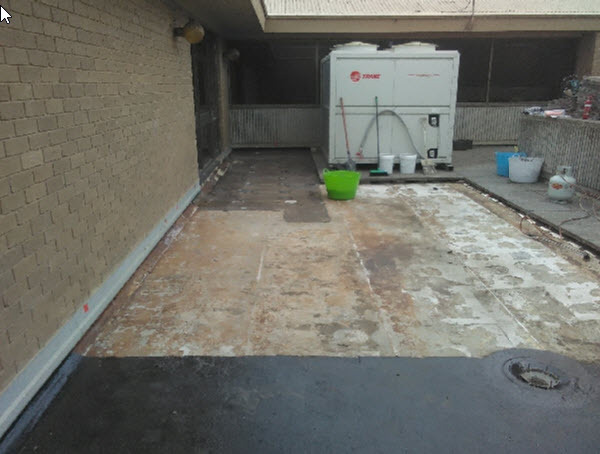 The project involved both waterproofing remediation & balcony repair works to solve a challenging problem involving long-standing water ingress into structures. 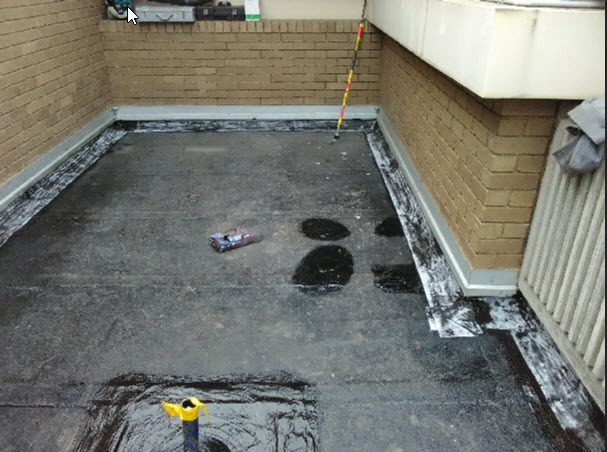 Once structural repair & remediation building works were successfully completed by our team of carpenters, the Findlay-Evans Certifed Waterproofers then installed Liquid Applied Membranes (LAMs) - the Liquid Rubber waterproofing system - to the balcony surface. 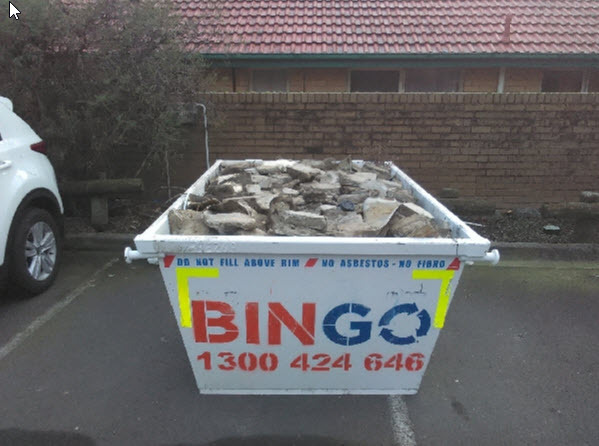 To help provide a cost effective solution to the client, we recommeded that it was possible to re-use the existing pavers. The balcony pavers were consequently installed on a buzon pedestal paving support system. 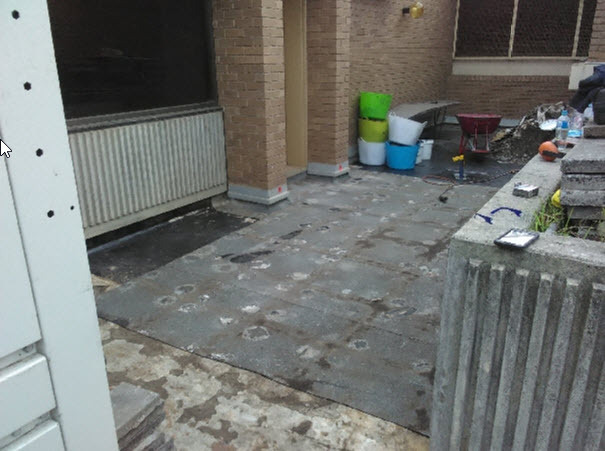 Substantial balcony restoration & rectification works were needed prior to waterproofing and paving installation using an adjustable support system. Existing tiles and leaking membrane required strip off. 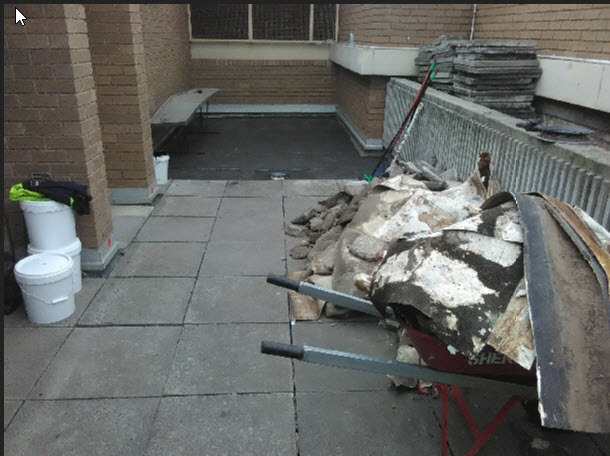 The pavers/tiles were reused, however the badly failed PVC sheet membrane was disposed. The Findlay-Evans Team removed all pavers and stockpiled them for reuse. 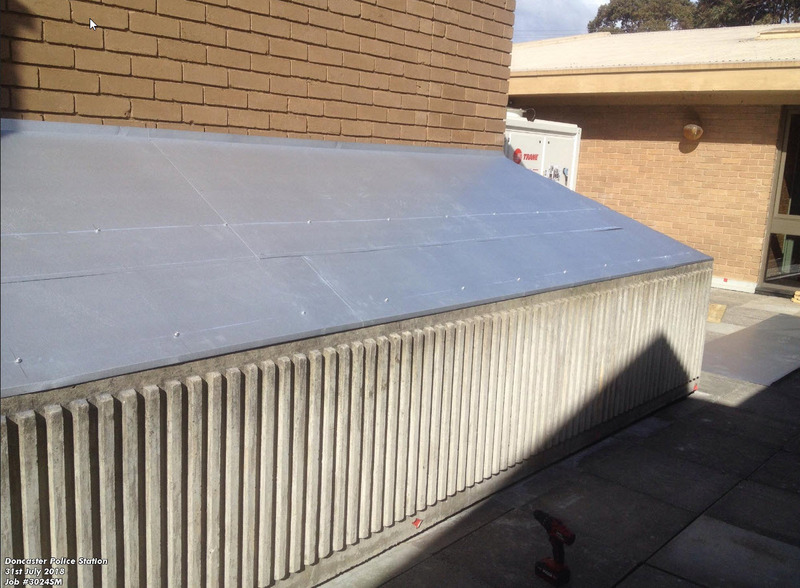 There was an old PVC sheet membrane system which had shrunk back from all drainage points. This shrinkage had allowed water to migrate down beside several drain pipes, instead of water flowing into the drainage system. This was a major issue contributing to water ingress down the rooftop terrace. So the remedial works also involved plumbing alterations to allow water to flow through and into the drain pipes, rather alongside the drain which was currently occurring. 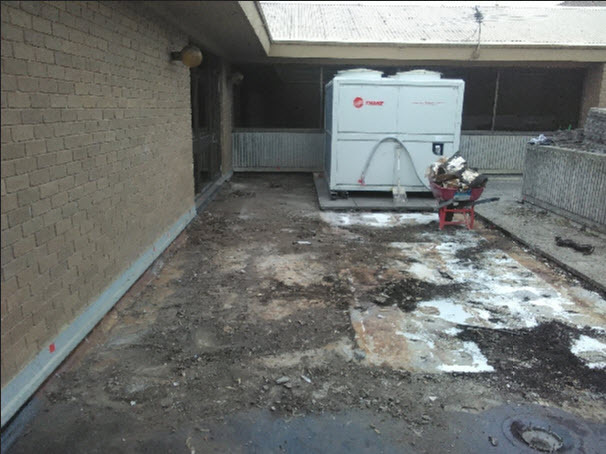 The Findlay-Evans Team did a fantastic task of site clean up! 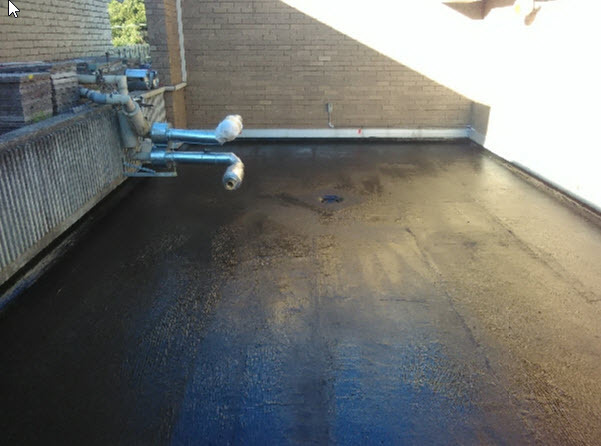 Once the building site was clean, as the Findlay-Evans Team are Certified Waterproofers, installed a new waterproofing system over the entire area - Liquid Rubber Membrane. 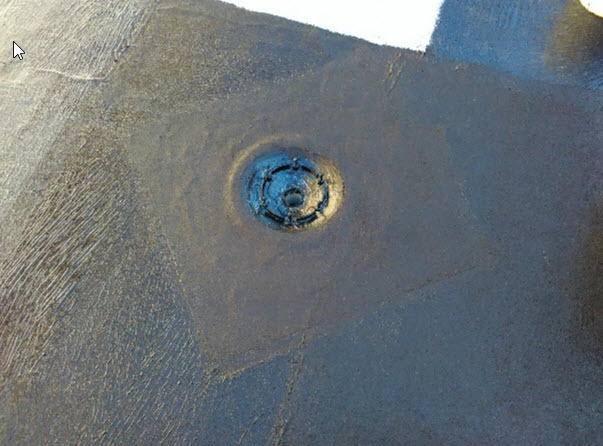 Being liquid on application, the waterproof membrane has the ability to contour around utilities, penetrations, upturns and conformed to balcony/rooftop shape - the ideal waterproof system for balcony and rooftop remediation, repairs and restoration. Our Balcony Restoration System consists of an inter-layer of fiberglass to ensure extremely robustness and longevity to the membrane method. Preparation with tape detail along all joins and penetrations. ensuring the project was made permanently water tight. The air-conditioner system had to be rolled out of the way with the use of help of our air conditioning experts. Then the Findlay-Evans crew re-installed the pavers on buzz-on stands. Arma-Blue, a superior & robust protection for waterproofing systems, were used to isolate the pedestal stands from the membrane system. These buzz-on stands can be screwed up and down to get the heights of the pavers correct. 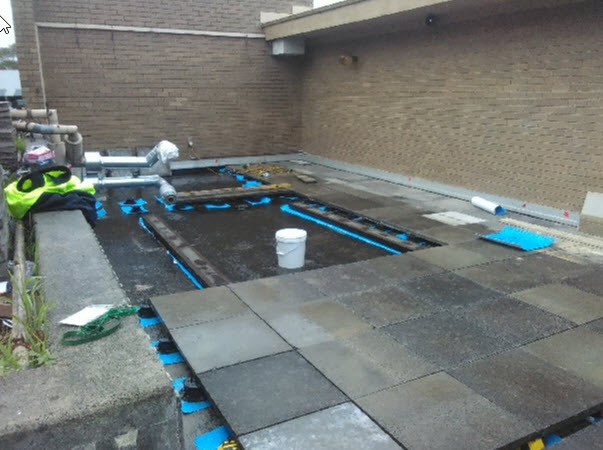 Once we had all the pavers in position, our Team decided to waterproof and apply protection sheet to the planter boxes which were also a cause of water leaks. 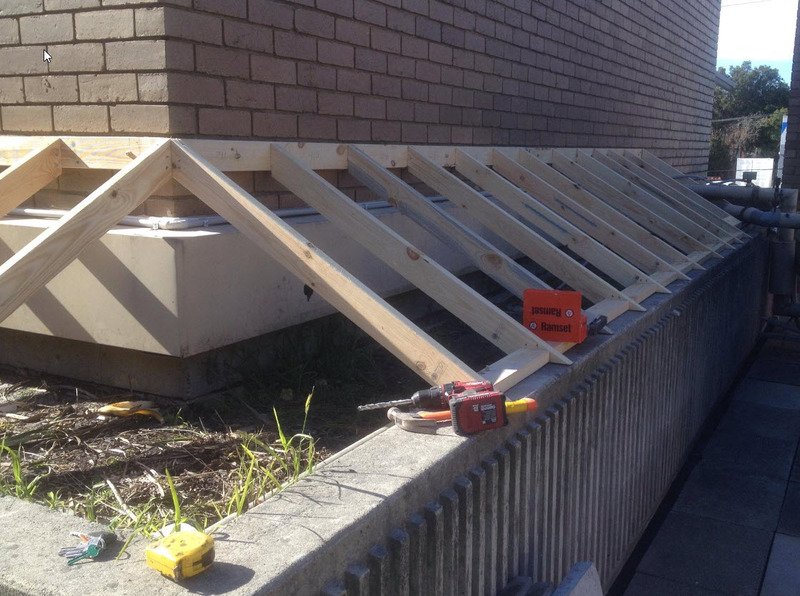 The Findlay-Evans Team consists of carpenters and waterproofers, so we framed up the planter boxes and reinforced the capping and all floor and wall junctions. 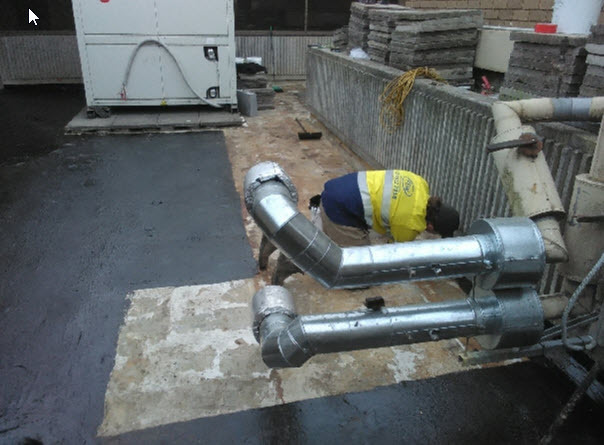 The principal contractor, Morgan’s Constructions, was pleased to have this part of the project as an end-to-end waterproofing & remedial building works managed & completed by Findlay-Evans. 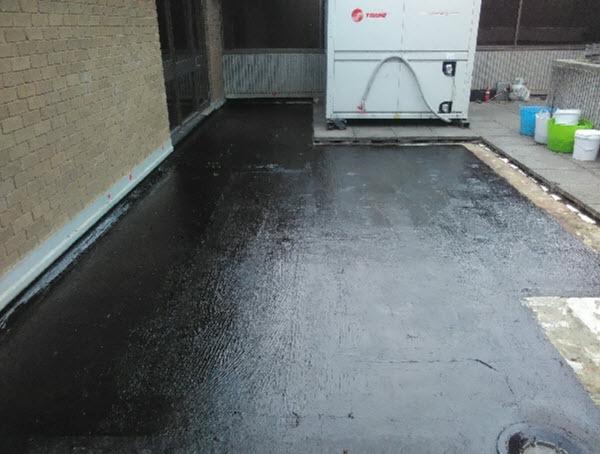 Paul Evans, Manager/Director of Findlay-Evans Waterproofing, was pleased the results of an usual and challenging project. Waterproofing, Repairs, Restoration & Pavers / Tiles Adjustable Supports .